Do you mind the release of these GMO's in the market? Spider goat- there is a species of spider that is said to be able to produce the durable silk, but farming spiders is not economical so they decided to inject the DNA of that spider goat embryos. 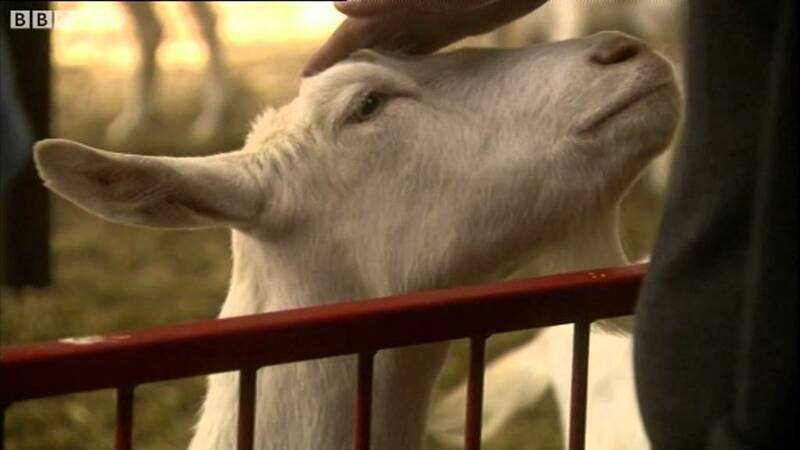 The product are goats with milk that can be converted into spider silk. Golden rice- This is a controversial GMO that has been debated until now, it is Rice with DNA of carrots and pumpkin. It is rich in vitamin A and Beta carotene. They said it is the answer to malnutrition. No country legalized this yet. Flounder tomato(sorry no video) It is tomato that can grow during winter because it has the DNA of an arctic flounder fish. I don't think tomato moving vegans will like this. Breast milk cow. They said breast milk is still the best for babies, so the scientist in China creates a cow that produces human milk. We know what happen to cows when they cant produce milk anymore, they end up in slaughter houses. So people will end up eating beef with human DNA. Pest immune corn- This is a corn that produces a poison that kills pests but is said to be "harmless" to humans. I can't end videos about it though. 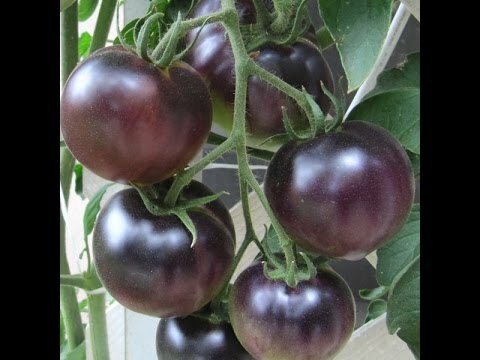 Purple tomato- a tomato that is said to be the cure for cancer. It is high in anti oxidants and it has the DNA offer beets and other nutricious vegetables. Last edited by Billy; 06-24-2015, 03:37 AM. I don't mind the GMO food as long as it is not illegal. I believe that vegetable is vegetable and that animal is animal and that I wouldn't be poisoned by eating an abnormal animal or vegetable. So that's it. Why should I worry when those scientists who came up with GMO have tested those food themselves? I remember when the color tv first came out. Those who have no color tv would proclaim that it emits radiation and those who watch the color tv would surely have cancer from the radiation. Much ado about nothing. Here we go again. You are from the Philippines right ? A GMO corn started a disease in your country that harmed many people living around those crops. I am not sure if you remember that news but the corn have DNA of a harmful bacteria. I believe green peace have a video about it that they uploaded on YouTube years ago. Monsanto have a bad reputation with their GMO's. So I guess you won't mind eating the beef made with cows that has human DNA. It is like eating a human/animal hybrid. Oh I forgot about the Orange with cockroach DNA. You are absolutely correct about the dangers of GMO food. They are a unnatural food that is being fed to human. Monsantos is a company based on making money and not feeding the world, which they claim as to be the driving force behind their company. Corn in the Philippines is GMO. They are trying to get the golden rice grown here but it has not gone public yet. I'm sure the politicians will make it so after a big pay off. Since moving to the Philippines I have stopped eating store bought GMO products and lost 30 pounds of fat and all of my allergies have gone away. The USA is loaded with GMO products and it the main reason why it is the most obese country in the world. GMO corn is in everything that is bought from the grocery store that is processed. Most of my groceries come from the wet market and I am highly selective on the meat that I purchase because of the threat of GMO tainting. 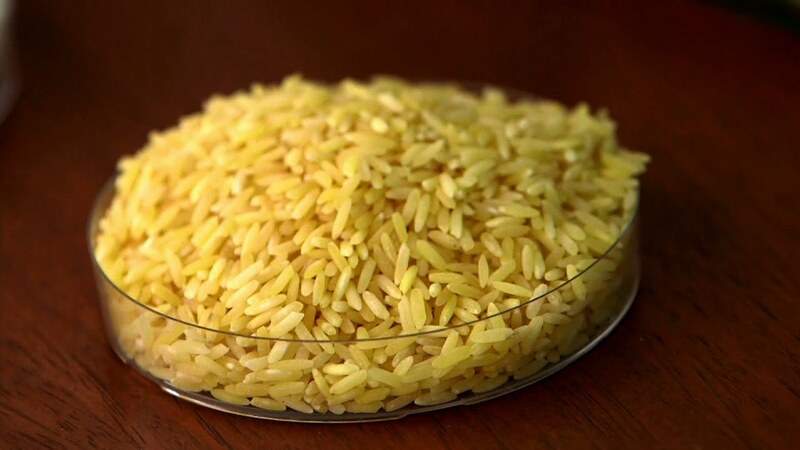 If the golden rice every goes mainstream in the Philippines, you will see a rapid increase in illnesses and obesity. Filipinos can't live without eating rice. They have said it time and time again when I question their ability to abstain from eating it. You do realize that anyone with money can buy off a scientist to say whatever they want? It is not a hard thing to do in the Philippines. Anyone that watches a TV will believe what the news says. Sad to say, people in the Philippines will believe anything that is said and seen on the television. All of you channels are owned by the companies that sell these products. So it is in their best interest to tell you what is good for their business. They will sell you on the idea that GMO is good for you, so you will buy it and make them more rich and powerful. Kuya..........don't be a sheep. Learn all that you can from real experts that care about the environment and people. Your television programming is corrupt as the politcian's that steal out of the national treasurey. Hawaiiuse to be the number one exporter of Papaya to Japan but I remember Japan banned Hawaiian Papayas because of GMO controversy.I don't mind the existence of Spider goats as long as their meat and milk went be sold to Market. They were created to create silk fabric, I don't think fabric will be harmful since they were only clothes. If their meet and milk will be sold to market, people should have a right to know if it came from a Spider goat. I just read a article written in 2012. The ring virus devasted the hawaii crops and Japan looked elsewhere to get papayas. GMO papaya was then introduced and ring virus is non existent. I don't see a problem with the goat as long as it's not going to be consumed.